I just read an article on The Hustle, that said the German powerhouse is avtually wrapping up production on the Stan Smith and Superstar, as they did once before in 2011. So if you’re after them, get ’em while you can — especially special colorways like this “Hi-Res Green”. The Three-Stripe legend comes in all of it’s OG glory — white leather, shell to and gold foil included — with the straight swap out of black for green on the detailing. 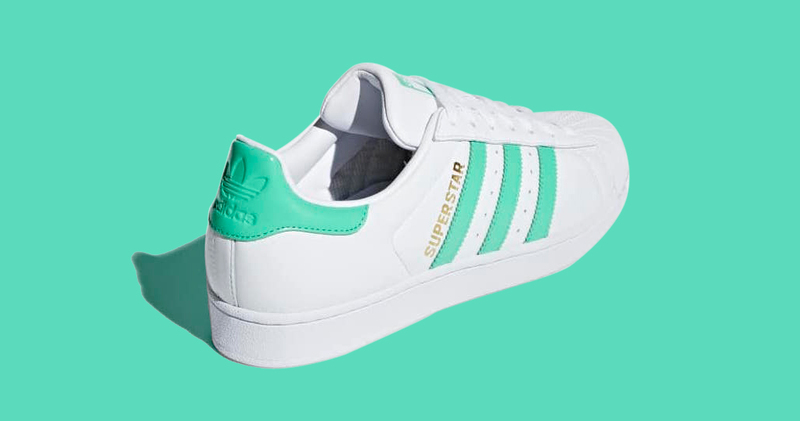 The adidas Superstar “Hi-Res Green” is available right now on adidas.com. But but while you’re there, you may want to add a few pairs of the OGs to cart, too. You’ve been warned. Don’t come crying to us next year when you can’t get your hands on a pair of adidas’ most iconic sneakers.